In ancient times, the Ettenmoors were part of the Kingdom of Rhudaur before that realm fell under sway of Angmar, domain of the dreaded Witch-king. 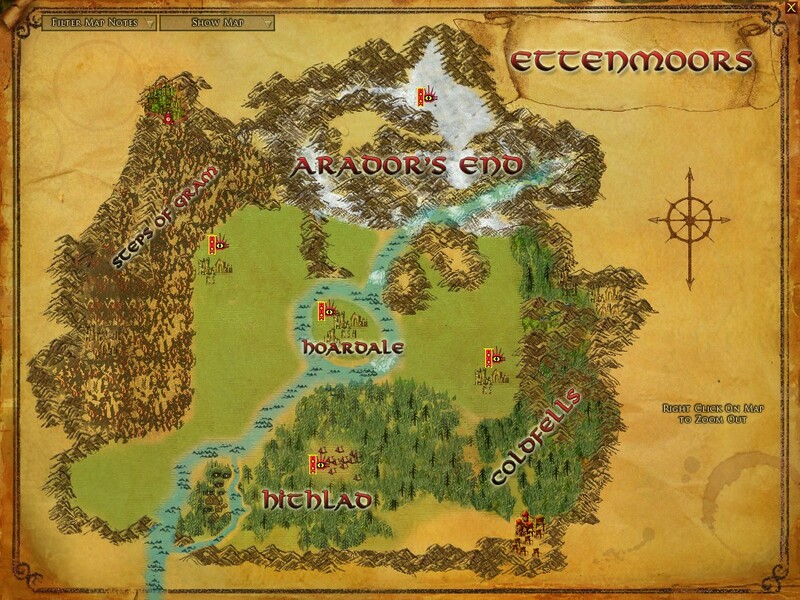 Today, even cenuries after the fall of Angmar, the Ettenmoors remain a place of terror and evil. 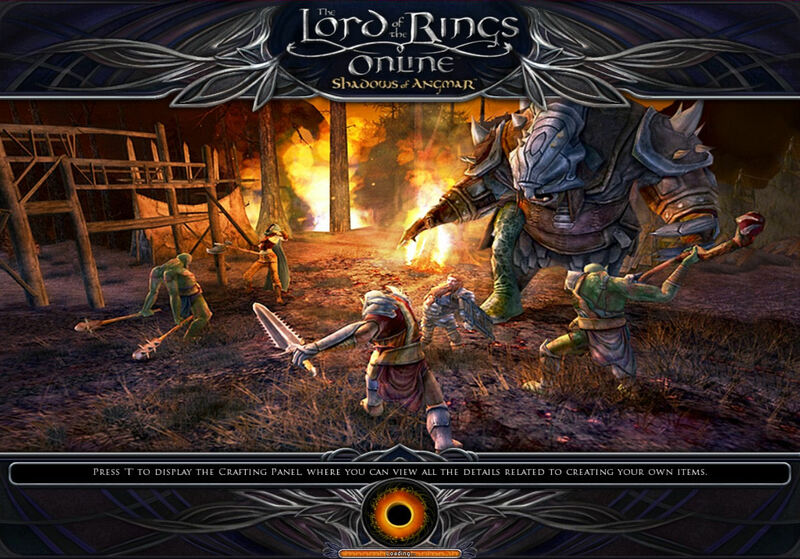 Through these wastes some of the most fell creatures of Middle-earth roam at will, biding their time until they hear the summons of their master... the Dark Lord Sauron. More recently, the Ettenmoors have been the site of massive battles between the Free Peoples of Middle-earth and the armies of Angmar. Hordes of monster from the northwest are streamming down toward the outposts of Hithlad and the mines near Arador's End, whilst the heroes stand against them. The Ettenmoors is LotRO's only PvP zone. Rather than allow players to fight players, which JRRT would surely have frowned on, players may only fight monster players. This conflict is referred to as PvMP. Beginning when your first character reaches level 40, at the Character Selection screen, you will have the option for Monster Play which allows you to make a monster, play in the Ettenmoors and hunt down players there. As for your player hunting monster players, any character that is 40 or higher may go to the Ettenmoors but... all Monster Players are level 65.